(Washington, D.C., October 11, 2016). 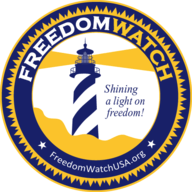 Today, Larry Klayman, the founder of Judicial Watch and now Freedom Watch, and a former federal prosecutor for the U.S. Department of Justice, filed a motion for default judgment, in the lawsuit brought by the parents of Tyrone Woods and Sean Smith in the U.S. District Court for the District of Columbia (Civil Action No. 16-cv-01606). "As set forth in the pleadings, which can be found at www.freedomwatchusa.org, Defendant Hillary Clinton has attempted to evade service of process of the complaint and lied to the court. Not only has she not to this day answered the complaint, resulting already in a default having been entered against her by the clerk of the court, she has also flouted the court's process. This is consistent with her general lack of honesty and disrespect for the rule of law, which is now well documented," stated Klayman. "It is time that a court of law finally holds Mrs. Clinton accountable. The complaint alleges that by illegally and carelessly using a private email server, likely compromised by foreign interests, that the location of Ambassador Christopher Stevens was given up, thus resulting in the death by terrorists of the heroic sons of Charles Woods and Pat Smith. In addition, Defendant Clinton is alleged to have defamed the parents of these fallen heroes, since she accused them of lying about the reasons for the attack on the compound in Benghazi, after she told them falsely that a crowd angered about a video disparaging the prophet Mohammed caused it. (Defendant Clinton told her own daughter, Chelsea, and the Prime Minister of Egypt that the attack was at the hands of terrorists)," added Klayman. "It's not enough for Defendant Clinton to lie and brush this tragedy off as 'what difference at this point does it make.' She must finally account to the rule of law and a default judgment should be entered against her," concluded Klayman.